Home Pressroom Annyeong again, South Korea! 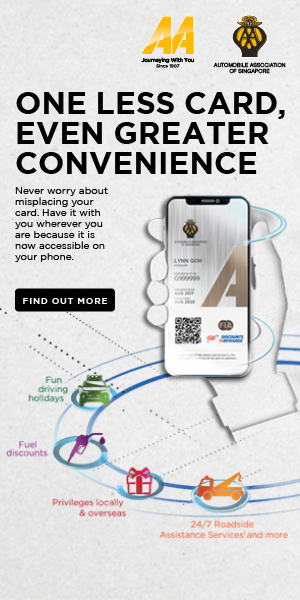 For their 11th-year collaboration, AA Singapore and Lianhe Wanbao head on a second adventure to South Korea, inking an MOU with three other partners. Mr Jung Jin-Hak, Regional General Manager, Regional Sales Office (Singapore), Asiana Airlines. Last year, AA Singapore and Singapore Press Holding’s Lianhe Wanbao co-organised a Fly-Drive trip to Jeju, South Korea, which saw more than 80 people signing up. 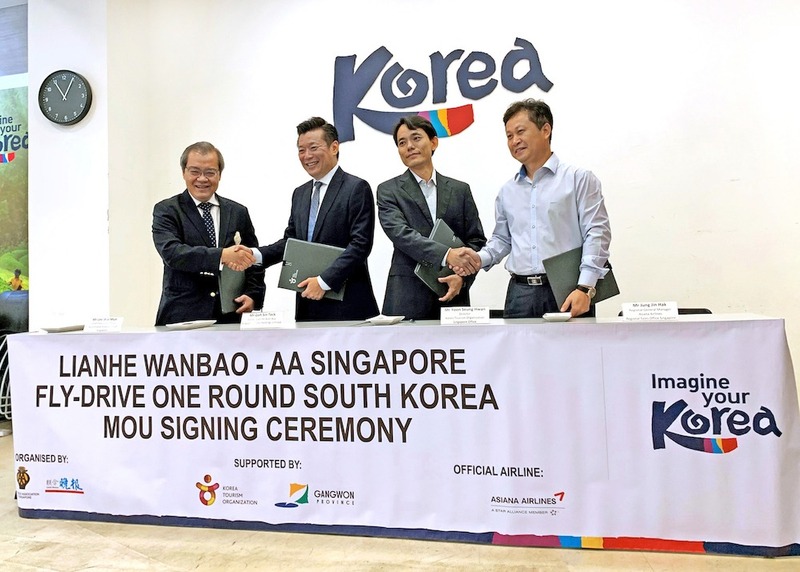 Following that success, AA Singapore recently inked a new Memorandum of Understanding (MOU) with Lianhe Wanbao, Korea Tourism Organization, Asiana Airlines, and Gangwon Province for another Fly-Drive trip to South Korea this year. Representing AA Singapore at the MOU signing ceremony which took place on 19 March 2019, was Mr Lee Wai Mun, CEO of AA Singapore. 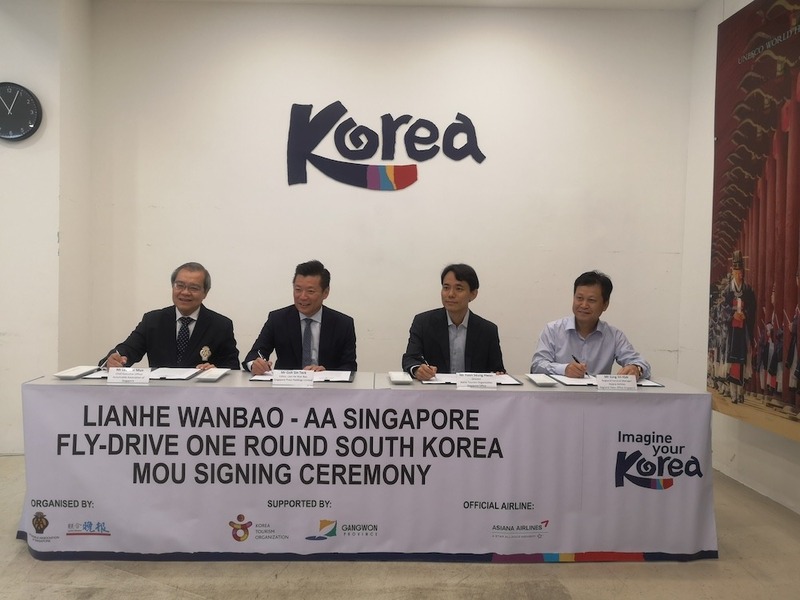 Officially known as ‘AA Wanbao: 11D10N Fly-Drive One Round South Korea’, this trip will take place from 2–13 June 2019. Some of the major sights scheduled include Ganghwa Peace Observatory in Incheon, Daejeon Central Market in Daejeon, Suncheon Bay Garden Expo in Suncheon, and Gyeongbok Palace in Seoul. 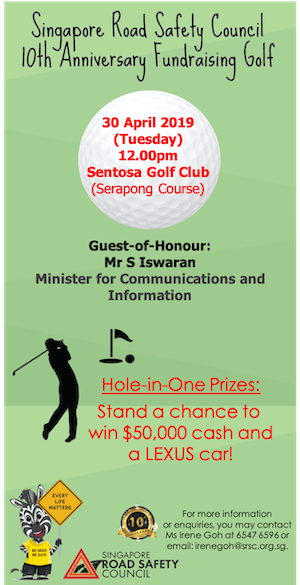 This time, those who sign up will also have the pleasure of driving around South Korea’s Gangwon Province. Keen to sign up for this AutoventureTM? ‘AA Wanbao: 11D10N Fly-Drive One Round South Korea’. Registration closes on 30 April 2019. Places are limited, so sign up now!